�����The Money Show in Houston, Texas this week is the last major show of the year. Dealers from all over the country are taking advantage of this venue and a hot metals market to try to locate as much of the Modern bullion coins they can find. Demand is so strong that dealers are willing to pay in advance of the current premiums just to satisfy their customers. Heritage Galleries will host their last Signature Sale of the year and it is sure to attract thousands of active bids. �����Little has changed since the last Moderns Price Guide was published three weeks ago, that is, for Modern Cents through Presidential Dollars. Most issues are steady with little discounting at this time. There are some adjustments in Proof Washington Quarters. Several of the Ultra Cameo Proof 70 issues are lower for dates 1977 to 1997. In the State Quarters Ultra Cameo PR70, most of the adjustments are higher Market prices. When it comes to the bullion issues, there is quite an array of increases. With metals moving higher each of the last three weeks, all bullion coins have moved up. Last week Gold hit the $1,190 mark before falling back to the current level of $1,175. Most of the dealers on the teletype networks are in the market for all bullion related modern issues. 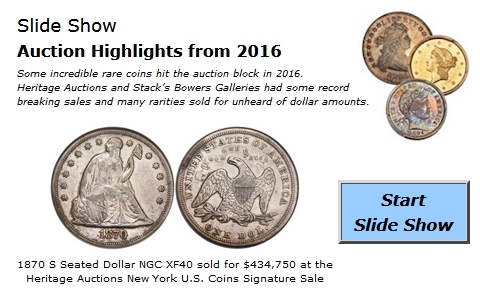 �����Over the last couple of months, we have found various declines for Modern Commemorative Halves and Dollars. One of the problems with these issues is that the populations of the highest grades can increase on occasion. This tends to place more coins into the marketplace and, if demand stays constant, prices will fall because of a lack of current support. We are seeing this in many of the Modern series.